How do you find the BEST river cruise for you? Thanks for taking the time to preview the wonderful itineraries our River Cruise Experts recommend for your first exciting river cruise vacation. Our selections represent a wide variety of very interesting itineraries, most of which are focused on European river cruises. That's because almost 90% of first time river cruisers select a Europe river cruise as the perfect introduction to the delightful world of river cruising. Premier has carefully chosen a list of river cruise itineraries that are just perfect for getting your “feet wet” on the rivers! Take a look at the cruisGENIE™ CRUISE LOCATOR and chart below! 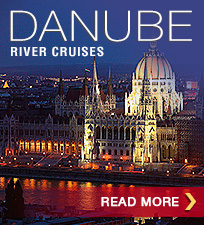 River Cruises provide more value for your travel budget. River cruising is the fastest growing segment of the cruise industry and that's because of the inherent values of a river cruise such as: an average of only 160 passengers on a river ship, well-planned FREE sightseeing in every port, exceptional cuisine accompanied by complimentary fine wines and beers, luxuriously appointed and very spacious staterooms, all of which have windows or beautiful balconies, and much more. The best analogy is that you're able to enjoy a floating 5-star luxury resort that magically transports you from one exciting place to another. Must read Premier articles and reviews. By the way... if you haven’t done so already, you should definitely read the article entitled, Is a River Cruise for You?. This article is loaded with “must know” and other useful river cruise information. A couple of other must-read articles written especially for first time cruisers are A Day In the Life of MY River Cruise! 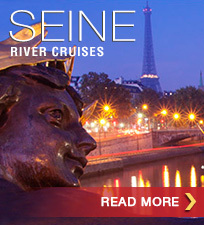 and Top Ten Reasons to Take a River Cruise. 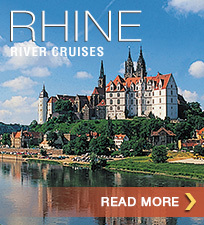 These in-depth articles are sure to give you a close-up, insiders-view about the fascinating world of river cruising! Last, but certainly not least, if you are looking for truly objective river cruise line reviews, please check out our river cruise line section here on the Premier River Cruises site. Are you overwhelmed with how to choose the right cabin? One of the more confusing aspects first time river cruise buyers encounter is trying to understand what type of cabin/stateroom they should purchase. We understand that the selection of the best cabin that fits your needs can be very challenging, thus, we've written an in-depth article that will provide you with the best overview of river ship staterooms to be found in the travel industry. Click HERE to read this very informative article on river cruise staterooms. We might also suggest that you now reach out to one of our river cruise experts to help you through the maze of conflicting information you've probably read on river cruise line sites. Our Premier river cruise experts all have at least 20 years of river/ocean cruising experience and they can help you navigate the very muddy waters when trying to find the best river cruise line and itinerary for your lifestyle and budget. We guarantee you the lowest price and that we will prepare you better for your trip than any cruise line or travel agency. Premier's exclusive CompassPoint Guide Series. For many, traveling to foreign lands can be a bit daunting, at times even overwhelming. With that in mind, the Premier Team has taken their many years of international travel experience and created our exclusive, destination-specific COMPASSPOINT™ Guide Series. Each Guide in the series is chock-full of valuable information and hints that will help you plan, prepare, and even pack for your river cruise… right down to what the temperature will be in each place you visit, at the time of your visit. If you’re doing a pre and/or post land stay, your personalized COMPASSPOINT™ Guide will also reveal some of our personal-favorite sightseeing hints and useful information on local transportation, cool restaurants, best shopping opportunities, best photo-ops, and even local tipping customs – all guaranteed to greatly improve the enjoyment of any river cruise, make it “hassle free” and truly one of your best vacations ever. These extraordinary Guides cover all major river cruise destinations in Europe, Russia, Southeast Asia, China, and Egypt and are FREE when you book with Premier, the best travel agency around to help you select, plan, and prepare for your dream-come-true river cruise vacation!